A couple of weeks ago I was interviewed by Kerry-Ann Augustin of the New Straits Times, in Kuala Lumpur Sentral Station. Her article was published in the Life and Times section of the New Straits today. Many thanks to Kerry-Ann for the great article and the New Straits Times for publishing it. Two weeks ago, I was sitting in my small hotel room in Kuala Lumpur, unsure where the next stop in the Time Twin adventure would be. 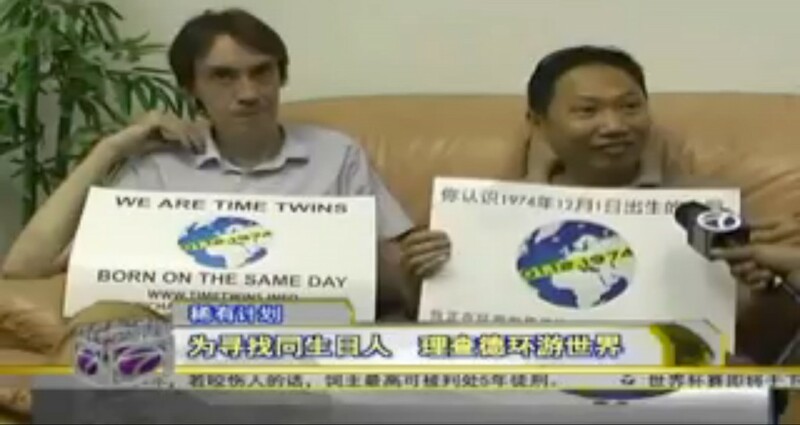 There were many Time Twins in other parts of the world interested in meeting, but no one near KL who was free to meet in the next few days. It had been wonderful to meet Peyman and Chan, and I was keen to meet other Time Twins in Malaysia outside the metropolis of KL. Just as I was sitting there wondering where to go, I received a short email from a man called Sunny Choo. It said that he had found out about the project and was interested in meeting. and that he lives in Ipoh. Consulting Google Maps I found that Ipoh, the state capital of Perak, was 250km north of KL, so, the next morning, I was on a modern train speeding past the palm oil plantations en route to Ipoh. I spent the next week with Sunny, his family and his friend Rawi, learning about life in Ipoh and enjoying their company. Sunny is an entrepreneur and also volunteers as the treasurer of a local charitable NGO, Pertubuhan Masyarakat Prihatin Perak (PMPP), headed by his friend Mohd Rawi Abdullah. PMPP assists the local community, providing the poor with help, especially at the times of Ramadan, Chinese New Year, Deepavali and Christmas. Aside from learning about the invaluable work of the PMPP, Sunny also showcased Ipoh cuisine, taking us to restaurants and hawker stalls across the city to try local variants of Chee Cheong Fun, Char Siew Bao, Popiah and the famous Ipoh White Coffee as well as the delicacies at the night market and Apollo Park. I was even introduced to Malaysian Karaoke! 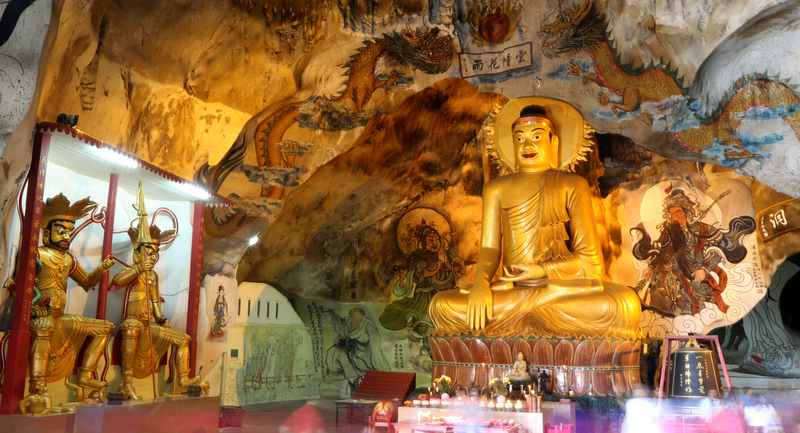 Outside the city, Sunny also invited me to the magnificent Perak Tong Temple, with its golden Buddha and stunning murals. My sincere thanks go to Sunny, his family and Rawi for all their time, their incredible hospitality, their friendship and for an unforgettable time in Ipoh. If you ever visit Ipoh, also be sure to contact Mr. Rajasegaran and take part in one of his heritage walking tours around the streets of the Old Town of Ipoh. Raja is an incredibly knowledgeable, interesting and generous guide, who provides a fascinating, unique insight into Ipoh’s history and culture both past and present. Have been spending the past few days in Ipoh, in the wonderful company of Time Twin Sunny and his family. Today, Sunny’s friend and colleague at the charitable NGO Pertubuhan Masyarakat Prihatin Perak (PMPP), Mohd Ravi Abdullah, arranged for local representatives of national Malay media to come to his office to interview me about the Time Twins project. The first of the resulting articles went out on Malay National TV, NTV 7 tonight. 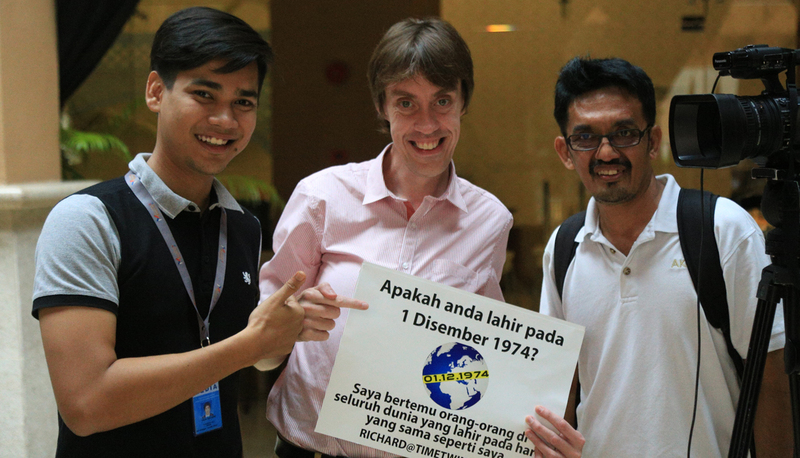 Huge thanks to Chong from NTV7 and all the other journalists, but especially to Ravi and Sunny. The PMPP conducts important work, assisting the local community by providing the poor with help, especially at the times of Ramadan, Chinese New Year, Deepavali and Christmas. 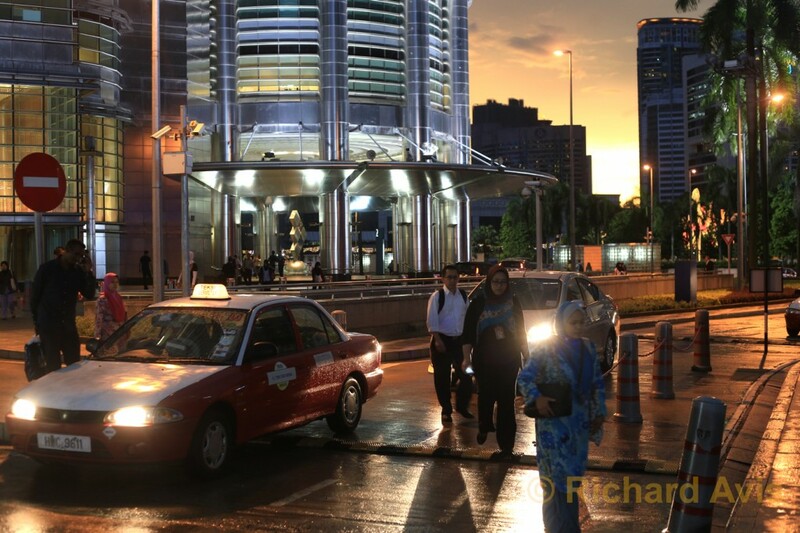 Yesterday morning, I took the Kuala Lumpur monorail from near the hotel in Butik Bintang to KLCC, where I met Chinese-Malay teacher, businessman and Time Twin Chan Huan Wei. 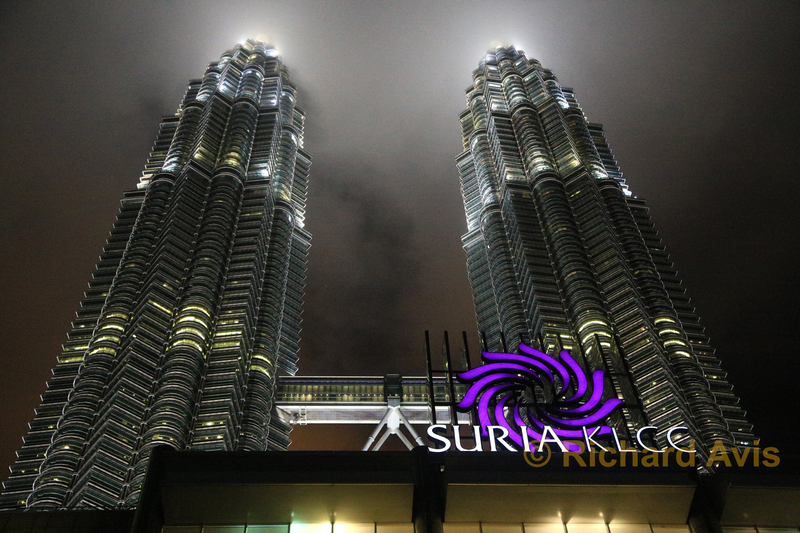 Suria KLCC is one of almost 30 gleaming air-conditioned malls within the shopping paradise that is Kuala Lumpur. Of all KL’s shopping complexes, though, Suria KLCC has the most iconic location, taking up the bottom six stories of the Petronas Towers: the eighth tallest building in the world. 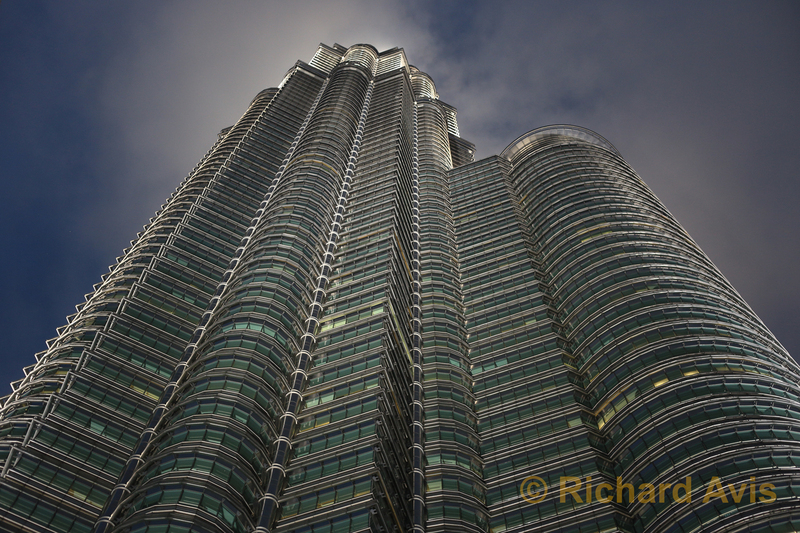 Sitting at an alfresco cafe , with Tower One towering above us, I learned about Malaysia’s history, cultures and economics from Mr Chan and had a fascinating, enlightening and fun chat about personal identity and success. Huge thanks to him for taking time from his busy schedule to meet us and participate in the project. Ahead of the Borneo phase of the project, later this month, the Borneo Post wrote an article about the Time Twins project this morning. Almost immediately I heard back from a Time Twin in Borneo who read the article and wants to participate in the project, which is fantastic! Back in 2012, when I started searching online for people born on 1 December 1974, one of the first people I discovered was an Iranian born musician called Peyman, who had left his homeland and was now living in Kuala Lumpur. Even reading his short online biography, his life sounded fascinating and it has been a pleasure over the last few days to meet Peyman and learn more about growing up in Iran during the Iran-Iraq war, artistic freedom in Iran, leaving Tehran for his new life in Malaysia, his experiences in Malaysia and his music career. During the past ten years, Peyman has released six albums, acted as composer, arranger, band leader and sound designer for the Musical dance Theatre in Kuala Lumpur Performance Art Centre’s production of Adam and Eve, scored a film nominated at the Sundance Film Festival, and managed and organised concerts in Kuala Lumpur that brought over and showcased Iranian musicians. Find out more about Peyman’s music at his website. 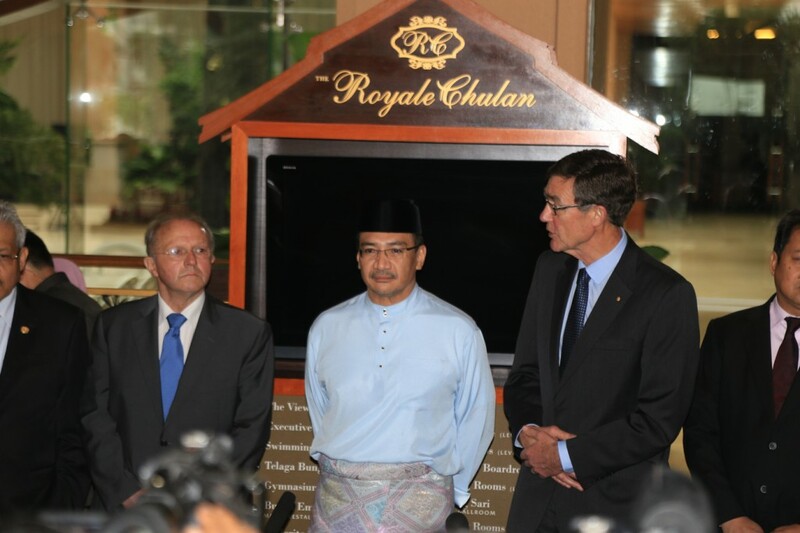 Yesterday morning I met Hilal Azmi, broadcast journalist from Astro Awani at the Royal Chulan Hotel. Over breakfast we discussed the progress of the Time Twins project thus far, and my hope to meet a Malay Time Twin during my time in Malaysia. Thanks to Hilal for his enthusiasm about the project and his time yesterday morning – especially given that he fit our little interview in before Malaysian Transport Minister’s important press conference about MH370.